Fettuccine Pie, that’s pasta and pie in one meal! This meal combines two of my favorite things. 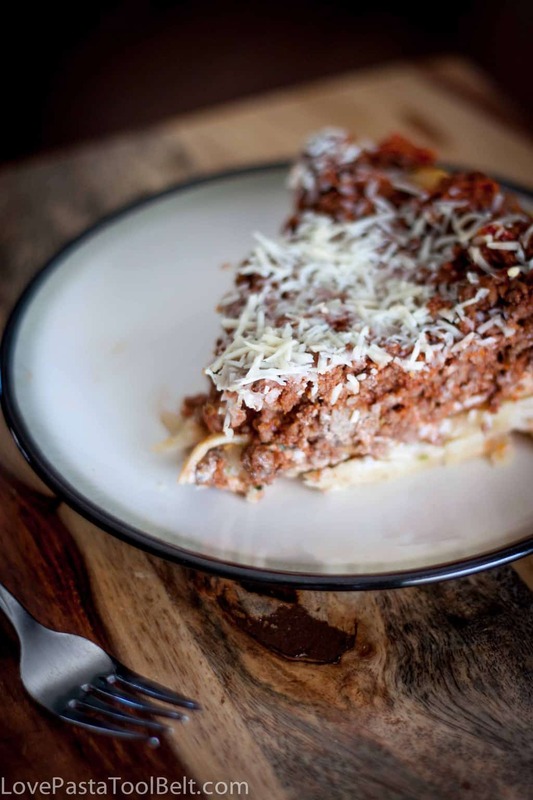 From it’s pasta pie crust to it’s meaty marinara filling this dish did not disappoint. I don’t know if you’re like me but I always get nervous when I try a new meal. I mean what if it doesn’t turn out good? Then what will we eat? Can you tell I over think things? Well no worrying needed with this Fettuccine Pie because it was absolutely delicious! 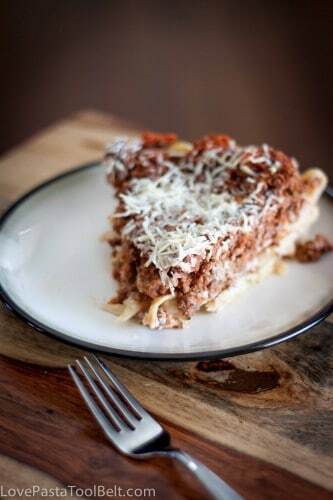 Put noodle mixture into an un-greased pie pan and press down to form a "crust"
Doesn’t this just sound so delicious, well it’s because it is! I love when I find a good recipe that I know we will have again. I’ve been struggling lately with having new ground beef recipes. Do you have a favorite ground beef recipe? I’d love to try it out, leave a link in the comments! Adapted from: So, How’s it Taste? This does sound delicious. I’m featuring it on Great Idea Thursdays, thanks for sharing. I also get nervous when trying a new recipe. I have this idea of how it should look and taste in my head and am disappointed if it doesn’t turn out. Thank you and thank you for the feature! I always get excited when a new recipe is a success!